If you’re thinking of installing solar panels on your home, then it’s a wonderful opportunity to teach your children about the different ways the sun’s energy can be used! 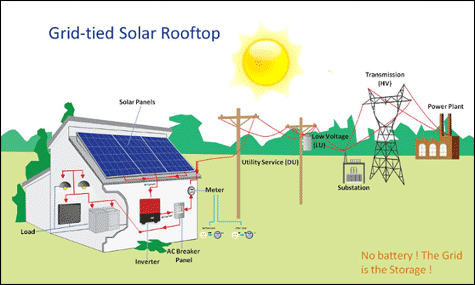 The same way plants absorb sunlight and turn it into food, a solar panel collects sunlight and turns it into electricity! And we’ve been turning solar energy into results for thousand of years!!! Did you know that early civilization used sunlight to light fires with glass-like rocks? They DID! and they used it to make campfires to cook up their dinner! Even Greeks and Romans used solar power with mirrors to do the same thing! They also reflected light around big homes kind of like turning on all the lights in your house! The Native Americans even built south facing homes to catch the most of the winter sun. This was so they could heat their homes during the day and keep it warm into the night. Just like the early humans you can use solar to power your electric stove for your parents to cook dinner! Those same solar panels will power all your lights so you can see at night, just light the Greeks and Romans. And just like the Native Americans, you solar panels will catch the most sun to keep you warm in those chill winter months. Just like a plant, solar panels use sunlight to create their own food. They take sunlight, carbon dioxide, and water and use a fancy thing called “Photosynthesis” to turn all that into sugars to eat and air to breath. Any extra goes back to the grid to help power the rest of the world!